Tres Le Fleur has far surpassed sales of any other Archival Designs' plan in the last 12 months. 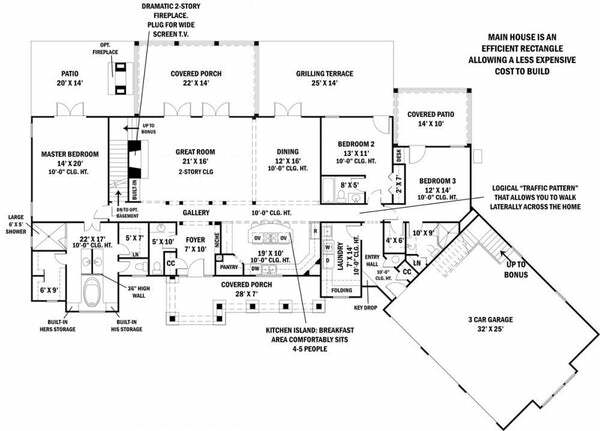 Honored as our top selling plan, here are some pertinent details about this luxury design. The spacious ranch with second story bonus room and in-law suite, offers stone siding and cedar shakes that blend beautifully together to create a unique look for this rustic ranch-style home. The full front porch is ideal for peaceful evenings. Inside, the heart of this impressive ranch can be found in the open layout of the great room, casual dining room and extensive kitchen, boasting an 8 x 4 island. The great room features a dramatic two-story stone fireplace with wood beams in the two-story ceiling. Situated for privacy, the spacious master suite features direct access to the patio and veranda. The luxurious master bath has a sensual glass shower and separate lounging tub and his and hers vanities. His and hers walk-in closets provide ample storage for couples, plus she has an extra appliance and make-up cabinet by her vanity. Two additional bedrooms with private baths make this home perfect for family and guests. 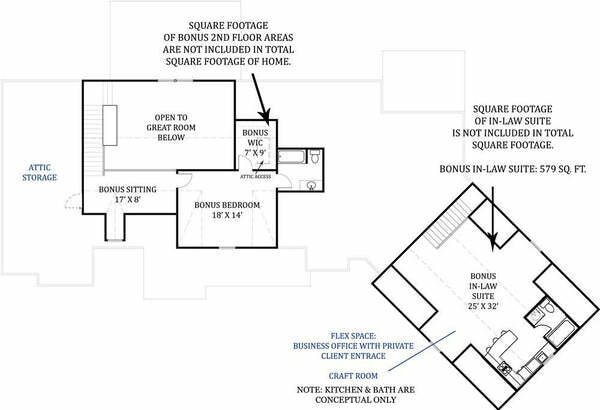 A 579 sf in-law suite could also be used as a business office with a private client entrance. All the rooms have access and views past the outdoor veranda and grilling terrace and covered porch. This is ideal for lake, mountain, golf course or scenic backyard lots. Every home needs to boast a jumbo laundry room with sink and folding area like this one. But the last surprise is the hidden stairs behind the fireplace, offering a second story future space for a potential loft, living area, and of course, storage. Which front elevation do you like? 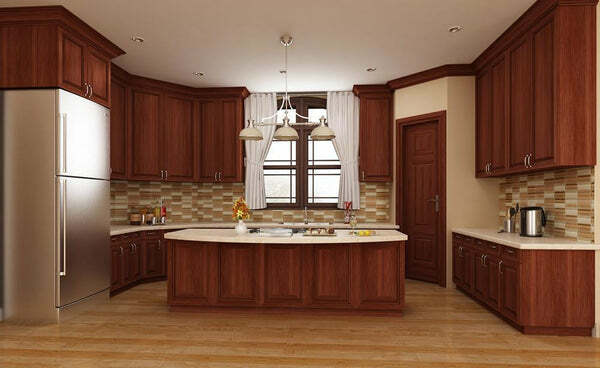 Choose from more than 400 house plan designs that we offer in a wide range of styles and sizes. Some of our more popular house designs include European-inspired Georgian and palladian homes, English manor house plans, Tuscan-style Italian villas, French chateaux, and colonial house plans. Our Tuscan-style villas range from 1800 sf to 14,814 sf. 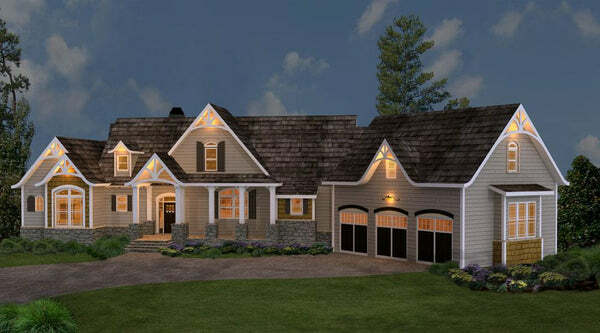 Our Newport classic house designs range from 1500 to 5000 sf. Our starter castles, mansions and estate homes are designed in the grand tradition of some of the most impressive homes in the world. Please feel free to search our house designs or browse our photo gallery to get a sense of the many styles and types of house designs we offer. Our plans have been built around the globe, from Canada to Dubai, and one plan could be just for you!